Fun and sun in the summer! Bountiful nature, meadows, pastures, forests, streams and mountains. You can breathe in the pure mountain air and go for a pleasant hike under the bright sun in the beautiful Val Casies... so you can expect an enjoyable holiday at the Blaslahof! Our place is the perfect starting point for many excursions and trips in nature. You can discover all the ways to enjoy the valley: by bike, on foot along the paths, or at table! We have marked the most beautiful trails on the map available at the Blaslahof. We can also give you tailored advice and Martin can take you every week on the most beautiful trips. 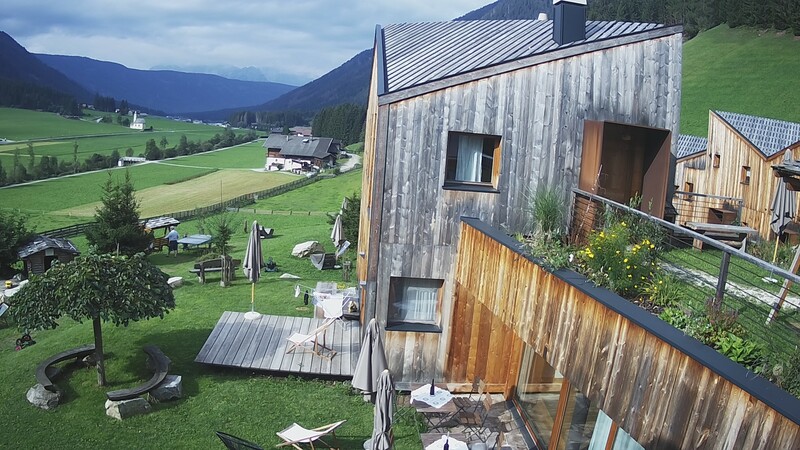 Starting point: from our place, you can cycle through the valley or go on a ride in Val Pusteria, or follow the cycle path that leads from San Candido to Lienz in Osttirol. If you love mountain biking, there are dedicated paths that take you through woods and forests. Enchanted, mystical and wonderful... do not miss out on a visit to Braies Lake, Anterselva Lake and the black lake in the mountains around Val Casies. Animal lovers can visit the Reierhof educational farm.